Support the Burro Basketball teams as they take on the MPCG Patriots on Thursday, December 21st. It's a doubleheader with boys and girls both playing! 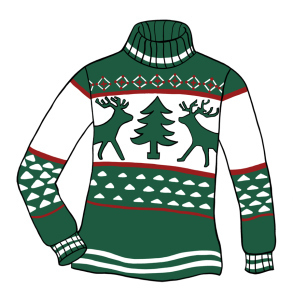 Game theme is Ugly Christmas Sweater! Everyone is encoruaged to wear their Ugly Christmas Sweater or any Christmas gear! All games are in Hillsboro! The girls JV and V are both at the HEC starting at 4:30 and the boys JV plays at HHS at 4:30 with the Varsity slated for 7:30 at the HEC.